Today’s post is sponsored by Mirum, but opinions expressed are my own. We’ve all looked at our hair at one point, and wished we could make it as shiny, healthy and lustrous as on the commercials, right? 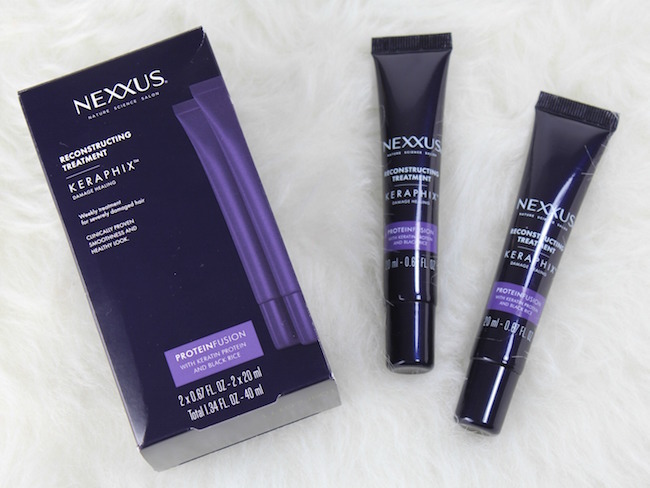 The new Nexxus Keraphix Hair Repair system is a game-changer and can noticeably improve severely damaged hair. Our hair is subjected to so many stressors: overprocessing and heat damage are two big culprits. 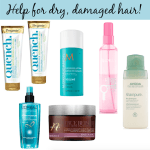 Damaged hair includes things like split ends, breakage, dryness, dullness, etc. 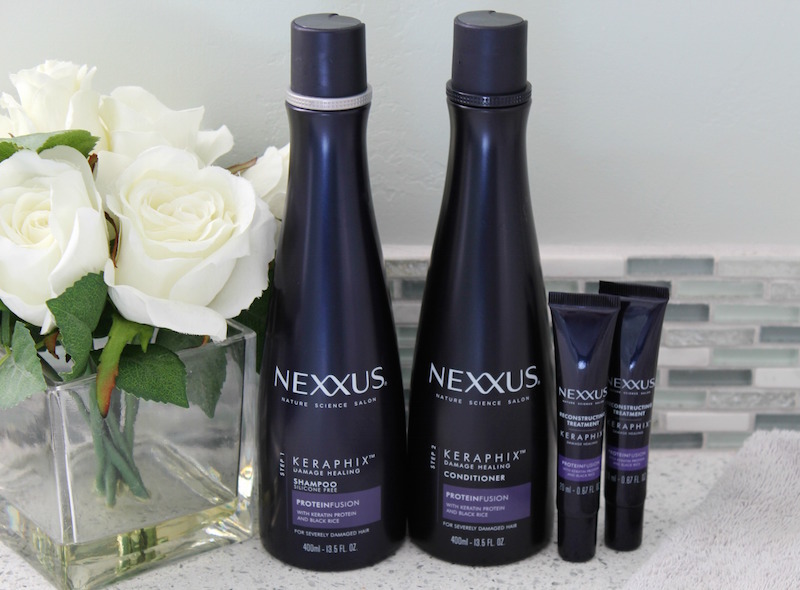 I’ve trusted Nexxus products in the past to help repair my damaged hair, so I was excited to learn about the new Keraphix hair repair system. 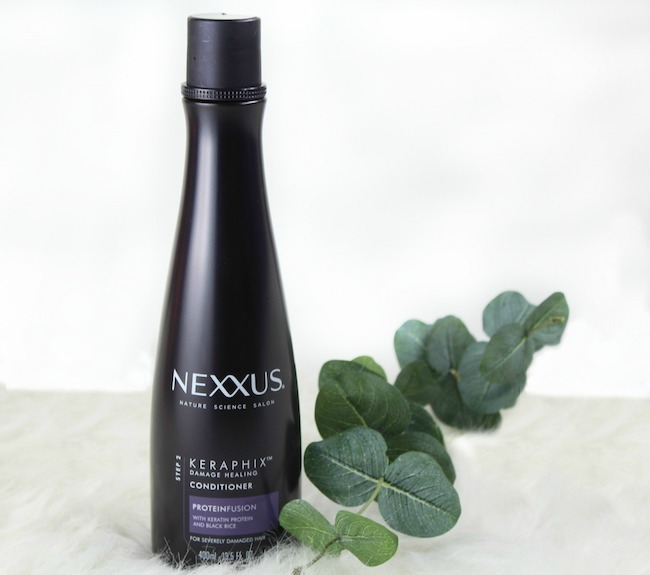 Since hair is made up to 90% protein, the Nexxus scientists have formulated the Keraphix collection with Keratin Protein and Black Rice; an ideal combination for strengthening and repairing damaged hair. When the full Keraphix system is used, hair is stronger and visibly healthier after just one use. Step 1: Shampoo with Keraphix Damage Healing Shampoo. Rinse thoroughly. 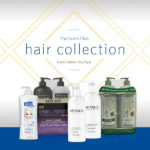 This first step of the treatment process gently cleanses your damaged hair and primes it for continued treatment. Step 2: Squeeze excess moisture out of hair, then follow with Kerphix Damage Healing Conditioner or Keraphix Masque for Severely Damaged Hair to help heal signs of damage. This conditioning step heals signs of damage while bringing strength with weightless effect. 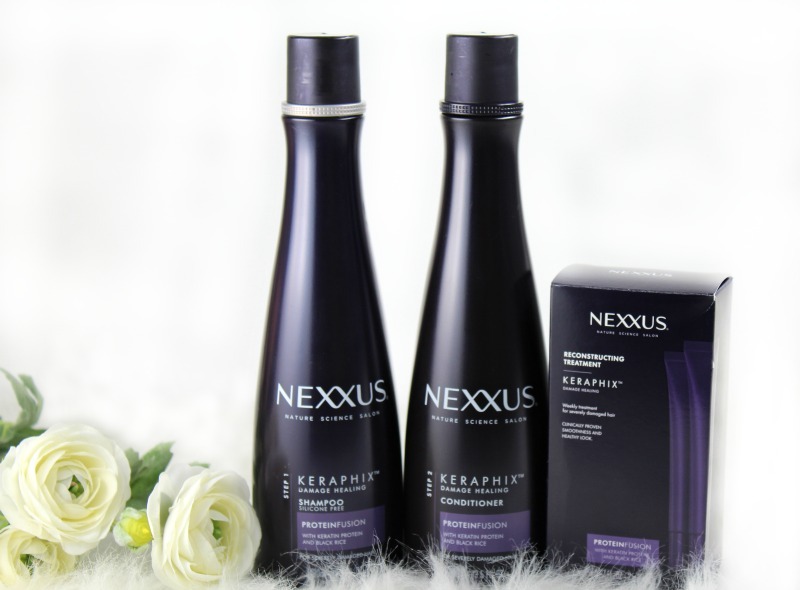 Step 3: Once a week, follow with the Keraphix Reconstructing Treatment for a salon-quality hair treatment. 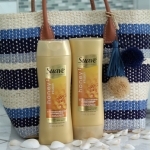 This step is clinically proven to repair internal hair damage and helps maintain strong, healthy-looking hair. From 3/18/18 – 3/24/18 get $10 ExtraBucks® Rewards when you spend $20 on participating Nexxus® products. Additional savings can be found in most Sunday papers this week. 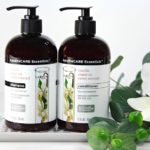 Save $5.00 on any ONE (1) Nexxus® product (excludes sachets, 5.1 oz. 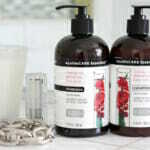 shampoos and conditioners and trial and travel sizes). From 3/25/18 – 3/31/18, get $10 ExtraBucks® Rewards when you spend $20 on participating Nexxus® products. From 4/1/18 – 4/7/18, get $10 ExtraBucks® Rewards when you spend $20 on participating Nexxus® products. From 4/8/18 – 4/14/18, Buy ONE (1) get ONE (1) 50% off on participating Nexxus® products. Get $10 ExtraBucks® Rewards when you spend $30 on participating Nexxus® products. 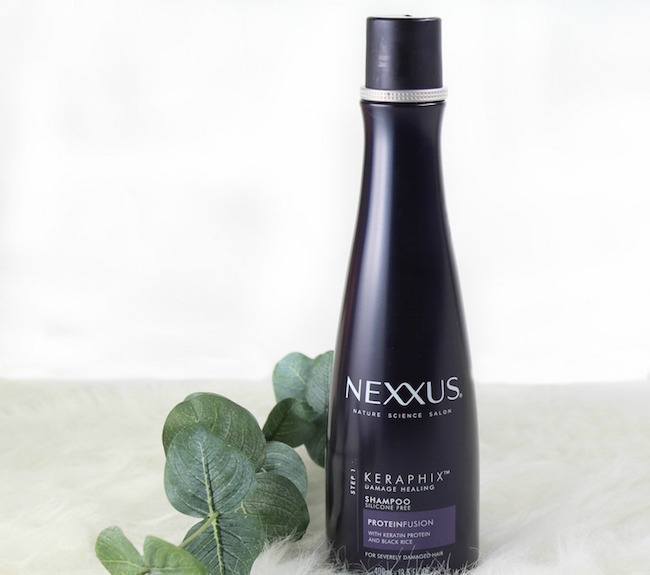 What I’ve noticed as I’ve been using the Nexxus Keraphix hair repair products is that my hair is softer, shinier and much more manageable. And I like that it’s safe and formulated for color and chemically treated hair. Pick up the Keraphix system on your next trip to CVS!